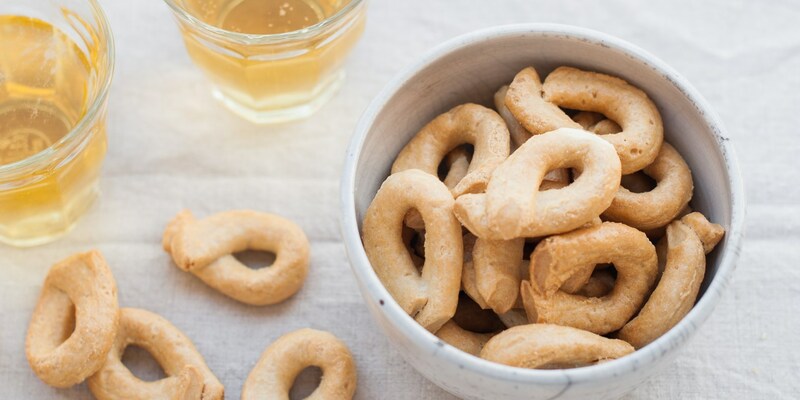 The people of Puglia are always snacking on something – we take a look at five of the most common snacks you’ll see across the region, from crunchy taralli to the so called ‘best bread in the world’. Perhaps more than the people of any other region in Italy, the pugliese love food. 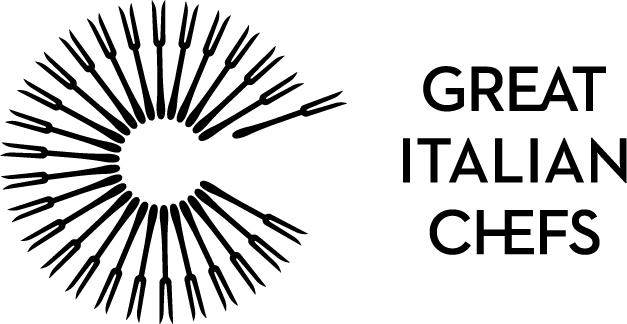 In fact, lots of pugliese make a living from food – whether it’s cooking and running restaurants, baking, farming, producing olive oil, or making burrata, Puglia is a region for food obsessives. When the pugliese aren’t sitting down for a meal, they’re usually snacking in between. 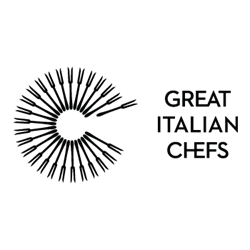 The south of Italy is famous for the quality of its wheat – durum wheat here is ancient, protein-rich and extremely high quality – and as a result, much of the food in southern regions like Puglia, Campania, Molise and Basilicata revolves around pasta and bread. 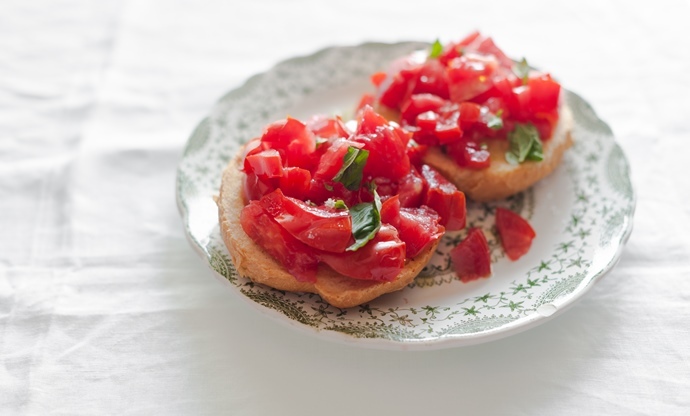 In Puglia, baking has a long and storied history, and many pugliese snacks revolve around different breads, often piled high or stuffed with herbs, tomatoes, aubergines, mushrooms and other southern vegetables. Here are five favourites that you’ll see plenty of if you’re planning a trip to the south – make sure you save some room! As far back as 37BC, Roman poet Horace declared Altamura bread as ‘the best bread in the world,’ during his time travelling through what is now Puglia. Fast-forward 2,000 years and the bread is still held in extremely high regard all around the world – prized for its hard crust and blonde, honeycombed crumb. 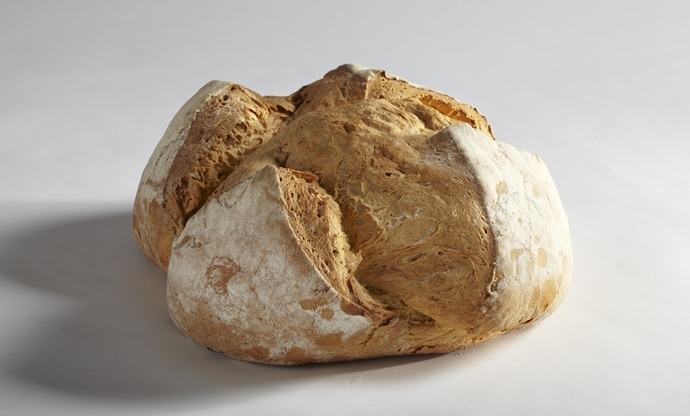 Pane di Altamura has been PDO-protected since 2013, and is made specifically from ancient, local wheat varieties like appulo, arcangelo, duilio and simeto – these unique wheats are what gives the bread its nut and coffee aromas, as well as its soft, glutenous crumb. In years past, the bread would be baked in public ovens in the town of Altamura itself – although this practice is less widespread today, some long-standing bakers still use those ovens to bake their bread. These rusk breads are fairly common all over Italy, but particularly in Puglia where they take advantage of the high-quality durum wheat that grows in the south of Italy. In essence, a friselle is a normal durum wheat loaf – though it is sometimes made with semolina flour too – that is baked, cut in half, and then baked again to create a thin, crispy flatbread. In Puglia, these are usually dipped briefly in hot water to soften the crust, and then dressed in salt, red pepper flakes, lots of good olive oil and a big heap of fresh tomatoes. Taralli are much like breadsticks, but they come in bagel-like rounds. 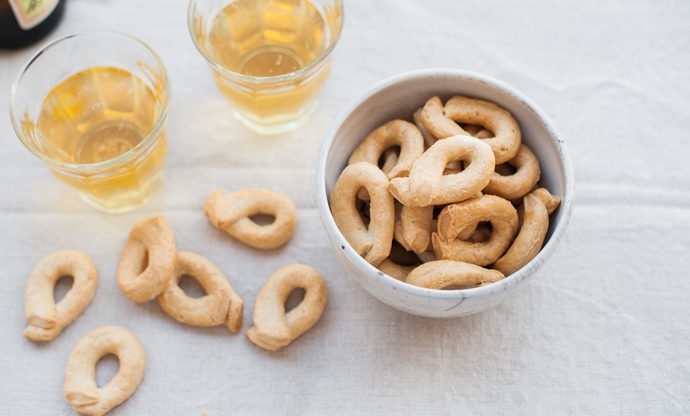 You’ll see them all over southern Italy, but taralli are particularly popular in Puglia where the pugliese eat them with aperitivi or as a snack before a meal. The taralli dough is first boiled, before being baked in an oven, with the resulting bread coming out dry and crispy. Once baked, they can be glazed with sugar and dunked into wine, or flavoured with onion, garlic, seeds, herbs and spices and piled into a bread basket. 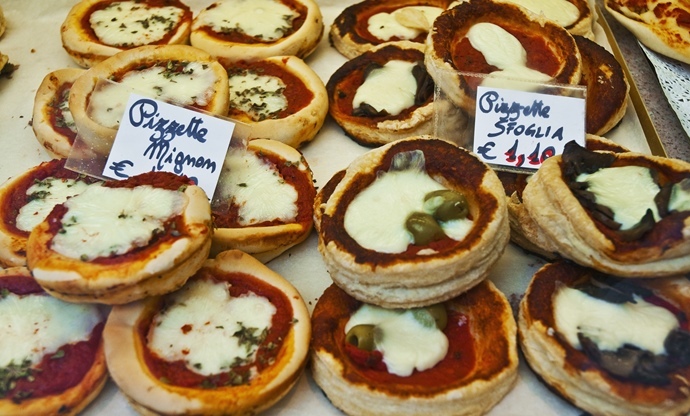 Puglia is home to some fantastic pizza, but if you can’t face a whole one and you need a snack, fear not – there are always dinky pizzettes to sate your appetite. 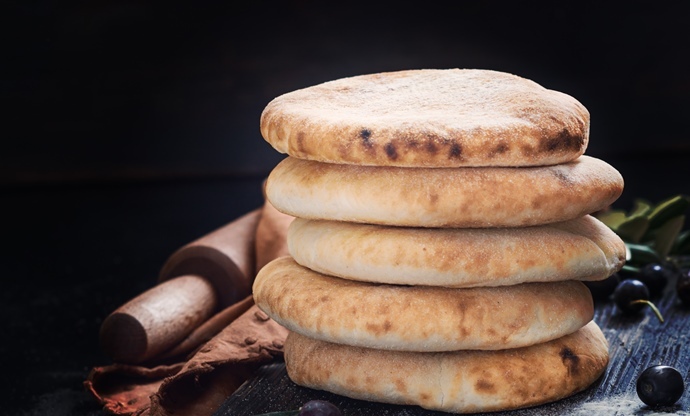 Pizzettes are typically made in the same way as pizzas, with dough made using ‘00’ flour and standard toppings, but increasingly you’ll find some made with more unusual flatbread doughs, and with more varied toppings. Keep an eye out of pizzette bianche, a traditional white pizzette that omits the tomato sauce, and experimental toppings like fig, shallot and balsamic vinegar. The puccia sits somewhere between pizza, sandwich and calzone, and originates from Salento, just to the northwest of Lecce. Puccias come with a variety of fillings, but it is the bread that is the star here – bakers make a pizza dough, and let it prove for a good couple of hours before baking it. The result of the long prove is a very open crumb with lots of space for fillings – once the bread is baked, the bread is cut open lengthways and stuffed with fillings before being returned to the oven to heat through.